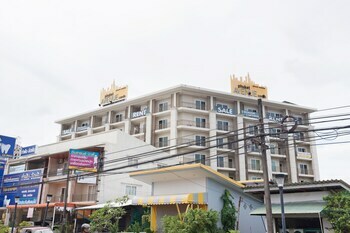 With a stay at this condo in Phuket, you'll be within a 10-minute walk of Limelight Avenue Phuket and Phuket Baba Museum. Featured amenities include luggage storage and an elevator (lift). When you stay at Baan Rua Resort in Tha Mai, you'll be 5 minutes by car from Chao Lao Beach. The front desk is staffed during limited hours. Free self parking is available onsite.